Melbourne, Australia’s Town Hall is a historic building that has stood tall in central city Melbourne since 1867 and is used for cultural presentations, concerts, theatrical plays, exhibitions, and tourism. 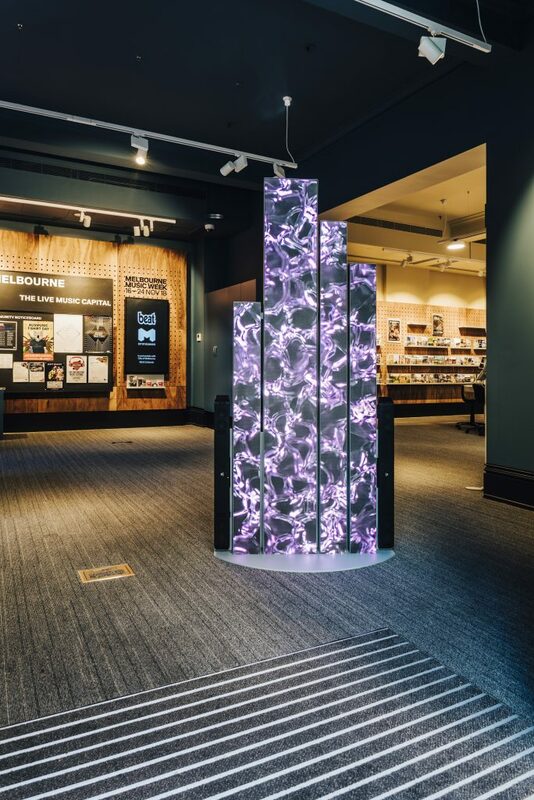 So, when the Melbourne City Council (MCC) approached Citadel Technology Solutions (CTS) to install a display to promote and celebrate the city’s rich aboriginal history, Citadel Solutions Architect Paul Materazzo and the Citadel team designed the LED Blades display and then turned to Digital Place Solutions (DPS) and NanoLumens for a LED Nixel solution that would reimagine a 19th century building for a 21st century audience of visitors. 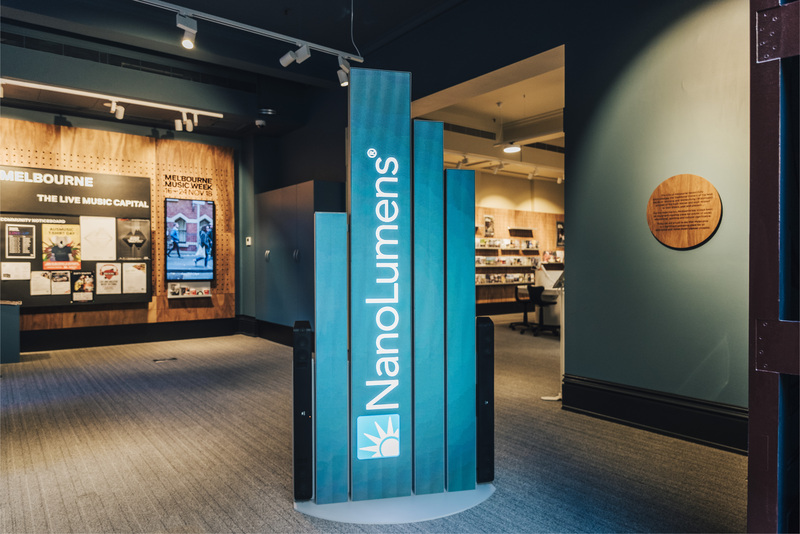 Paul Materazzo stressed that the MCC was looking for an unusual solution and knowing the flexibility that the NanoLumens Nixel Series™ offers, he proposed what he called “LED Blades” — a four-post display design that would be the first of its kind in Australia. “The MCC wanted a solution that would allow them to display individual words or images down each post, so I came up with the design of the four posts and I wanted them in various heights to enable each to have individual media displayed or a complete display over all four posts,” he explained. The finished display consists of four unequal length blades, the tallest at 2.2 meters, with a total display width of 1.1m. The Nixel Series LED displays tied this concept together perfectly as they designed each display to Citadel’s very specific specs. The specific content includes an introduction to Melbourne from the Aboriginal community along with subtle imagery depicting the transition of the Aboriginal history to modern day Melbourne. A voiceover explains how the Aboriginal people see the land today and how it still connects with their history. Visitors are then directed to the area’s many galleries and museums that showcase Aboriginal culture. Among the many factors that made this a successful installation for Citadel was the support and confidence Paul felt working with NanoLumens on this project.